Live in the moment - welcome to the Hotel ibis Salzburg Nord hotel. My team and I are looking forward to sharing some wonderful moments with you. The Salzburg Ibis Nord Hotel is close to the Red Bull Arena (Salzburg Arena), Salzburg exhibition center and the old town, all of which can be reached via a direct bus. The train station is 1.2 miles (2 km) away. The hotel has 103 air-conditioned rooms with free Internet access and a room suitable for those with reduced mobility. The reception and bar area offering snacks are available 24/7. Parking in front of the hotel is free of charge. Book your stay at the affordable Salzburg hotel online now! It was alright. The colleagues with the car had some problems parking. the bathroom was not clean, but the lady at the desk let me have another room. Only a one night stop on the road to Graz, but overall very good experience : free wifi, quiet room (facing parking lot, not the Autostrade), available parking (I had &quot;asked&quot; for a parking place when booking the night but got no feedback about it, yet not too many people in the hotel that day), and one of the best breakfast buffet I have ever seen in Ibis hotels : waffle machine, and real maple syrup, &quot;7mn&quot; semi-hard boiled eggs, and lots of other good things... bravo ! The hotel is just off the highway, with sufficient parking space and good breakfast served in the morning. Unfortunately, only a fast-food restaurant is available in the neighborhood in case you arrive without a dinner. The beds are comfortable, but the doors dividing corridors make a lot of noise when slammed, which kept us awake till late. Double rooms are in a different part of hotel than twin rooms, so if you e.g. travel with kids, you should choose 2 rooms of the same type if you want to be close to them. The room is adequate, the shower is small and did not work very well, the reception was ok, the hotel is not easy to access. The breakfast was good. Was welcomed by a very nice lady who made everything possible to satisfy all our needs. Thumbs up for her! Good value for the money, although it looks a bit old. The room has the old Ibis style. I didn't have the breakfast, so I can't tell. Free Parking is a little bit tricky but possible. Near public transportation. it needs more try and work in partition of tidy and clean. e.g. the carpetfloor of my room has a big spots.Big advantage of this hotel is close to motorway..a few meters. other advantage is a free parking but at the evening will be full. 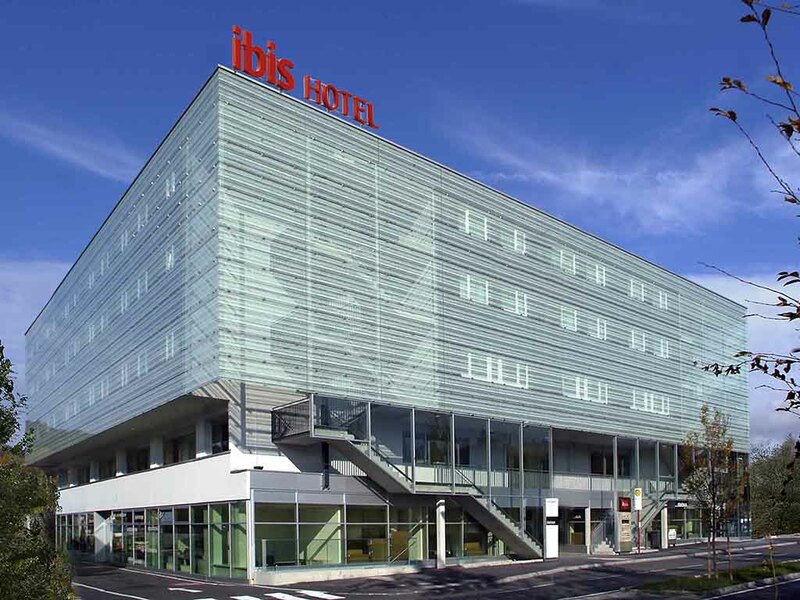 For years we stop in IBIS Salzburg Nord whenever we visit relatives and when our travel routing brings us through Salzburg. Great friendly and efficient staff, clean rooms, in short we get what we expect every time consistently. Location is great near the Autobahn and the city is just a short ride by public bus away. We just forget our car and move around freely. This hotel is a great base for exploring the Salzburg area. It has a great parking lot which is a real plus in Salzburg. It is also on bus route 21 that takes you to the heart of the city in about 15 minutes. Be sure to get the quandoSalzburg app for up to the minute bus schedules. Our room was simple, but clean with everything we needed. Yes, there is a hairdryer. The staff was friendly and helpful. There is a MacDonalds that can be reached by the hotel elevator. Great service from the staff who went out their way to help us whether it was travel arrangements or printing our airline boarding passes.The hotel is on the north of the city but well served by a regular bus service direct to the front entrance. Receptionist were pro-active and highly attentive and recommended Salzburg card advantages and about public transportation. Guest floors could be accessed by public from street level (elevator worked w/o room card): very insecure! Rooms very hot and couldn’t cool down due to glass curtain wall- Aircondition was overloaded!!! - very uncomfortable!!! I stayed here for two nights, not consecutive, while tranziting Austria, Germany and Switzerland. My stay at the hotel was enjoyable, I had all the silence I needed for charging my batteries again for the road.